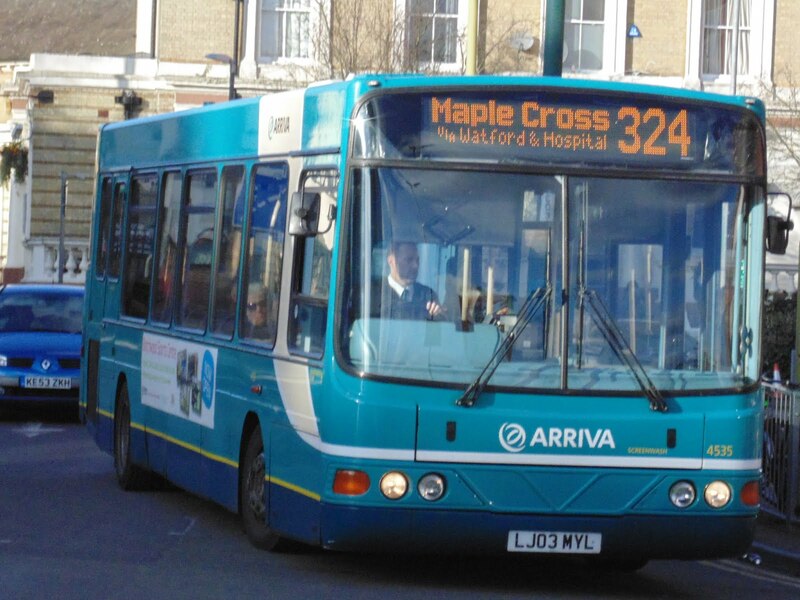 Some of you locally may have heard that Arriva have announced that they are reviewing the 324 bus route which runs to and from the Maple Cross/West Hyde communities. This bus route is a life line for many in both communities and it's withdrawal would be a real blow socially and economically. Today I have written to local councillor Phil Williams, and I enclose my email to him below. If this issue concerns you, please add your voice by contacting him too. I am sorry that I am bit late to the party on this. 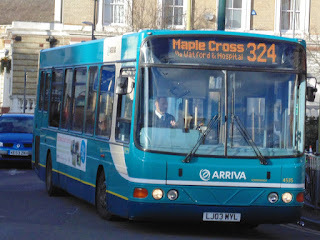 I was very concerned to hear recently that Arriva are considering a review of the 324 bus route to/from Maple Cross. The community is not well served with bus services with a disjointed R1 service. The W1only runs on Sundays. Maple Cross JMI school is a transformative presence for good in the community, and the local shop provide some means of social interaction and shopping and the Maple Cross Community Centre works hard to bring people together, but the community relies on other services such as local doctors and dentists elsewhere. Reducing community transport such as a regular bus service would be very detrimental for residents of the estate and surrounding area. According to social research, 16% of the population on the estate have no access to a car or van. 20% of the 16+ year olds have no qualifications and 7% of the working age population are on some sort of out of work benefit. Whilst these figures may not be particularly startling when compared to other areas within Three Rivers or nationally, they demonstrate that reducing access to public transport to and from the estate will limit social mobility and potentially employability as whilst there are some major employers on the estate, these largely require a specialist skill set. Social isolation is a significant issue recognised by the Government with the appointment of Tracey Crouch MP as 'Minister for Loneliness' who was charged to continue the brief began by the late Jo Cox MP. The Government acknowledged that this is an issue that cannot be resolved by Government alone whether nationally or locally and will require a multi disciplinary approach. That being the case, the removal of a vital communications link will surely only exacerbate the issue. I urge you, on behalf of my parishioners, to communicate with Arriva the inappropriateness of their proposal as the knock on effects go way beyond the financial viability of the route, but tap into what it means to be a community in the first place.